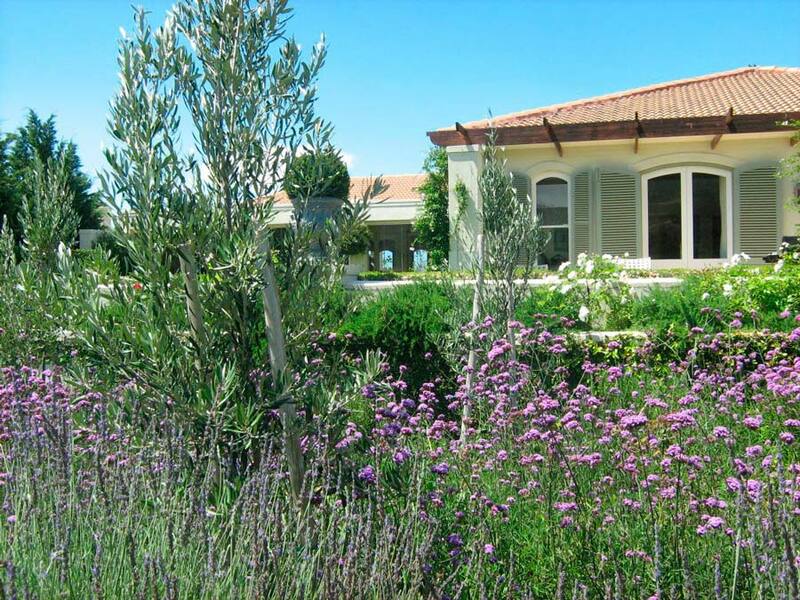 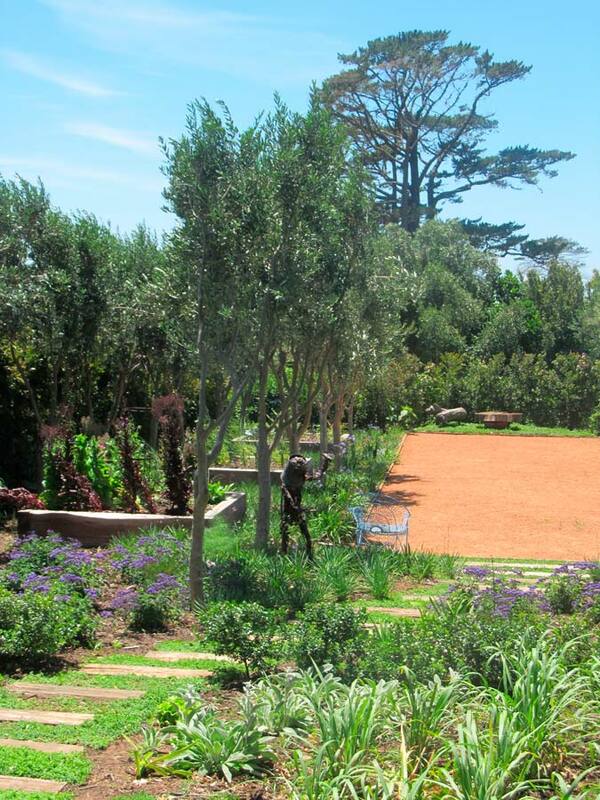 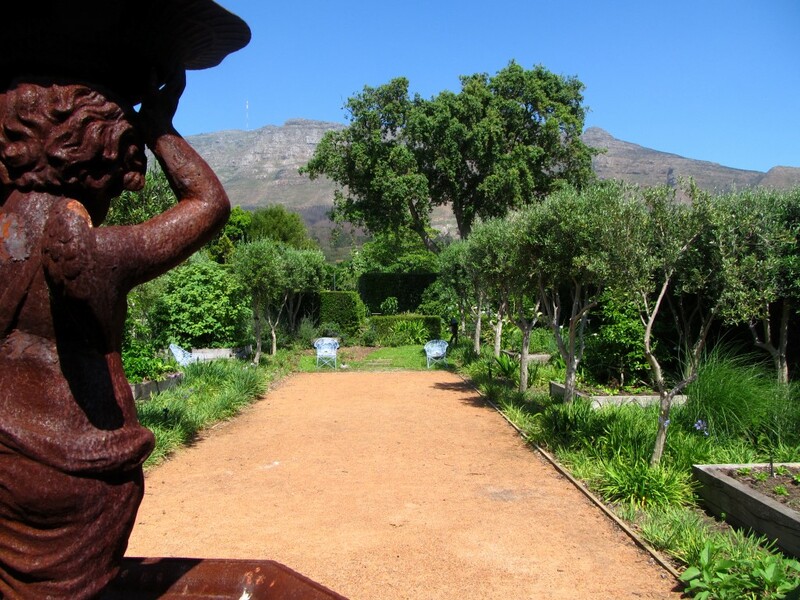 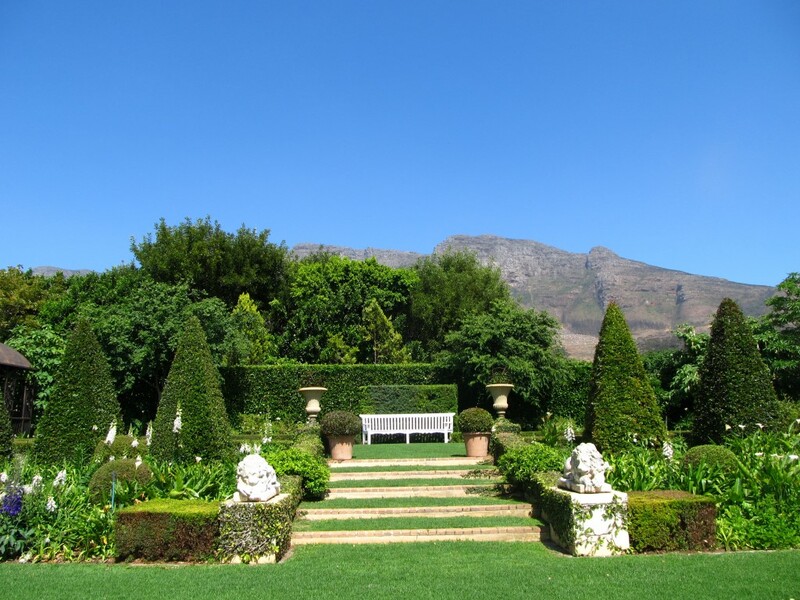 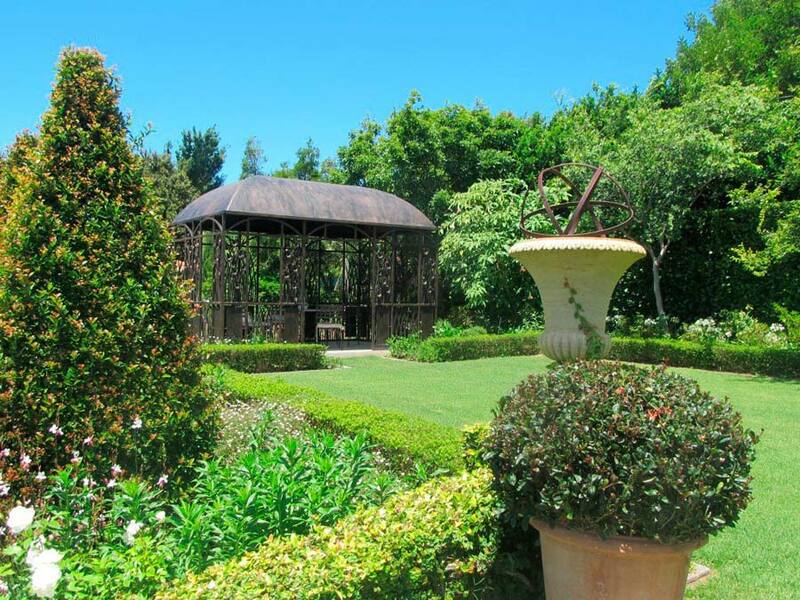 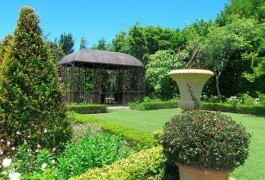 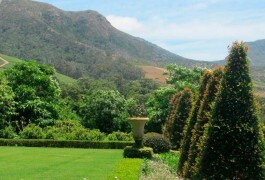 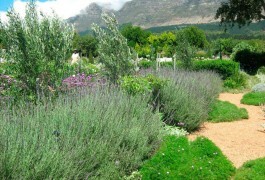 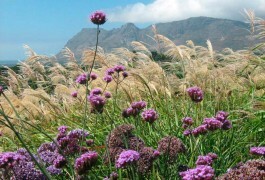 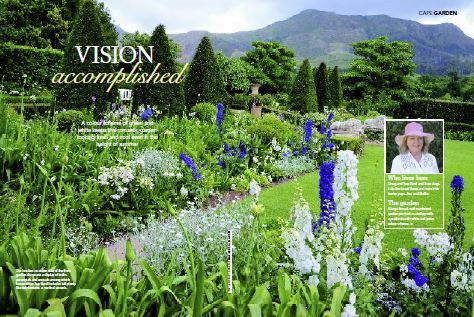 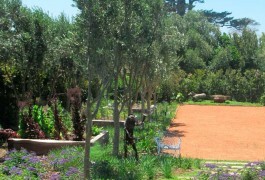 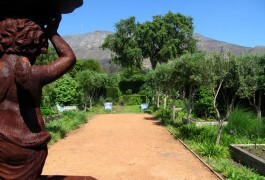 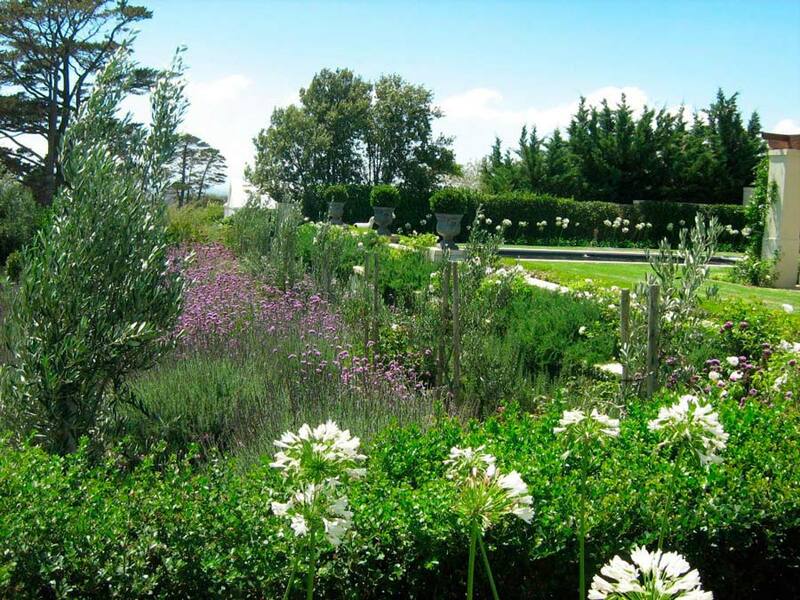 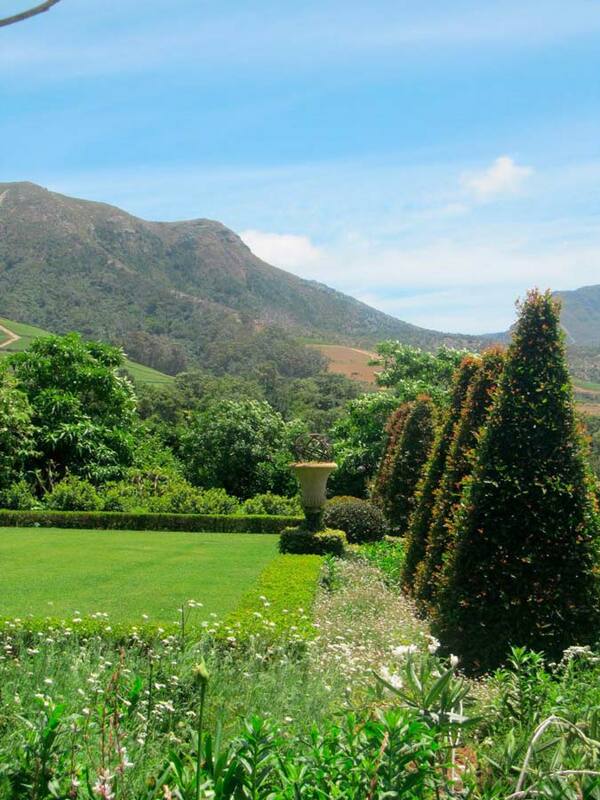 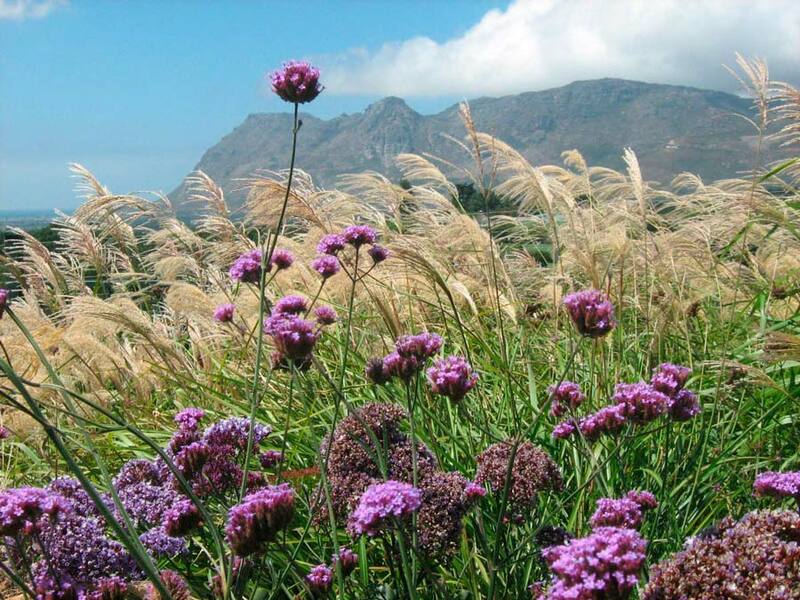 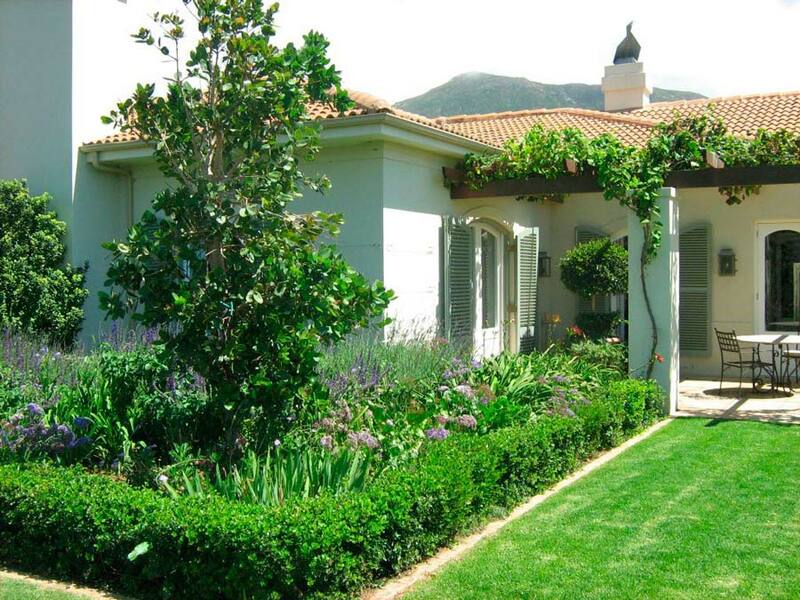 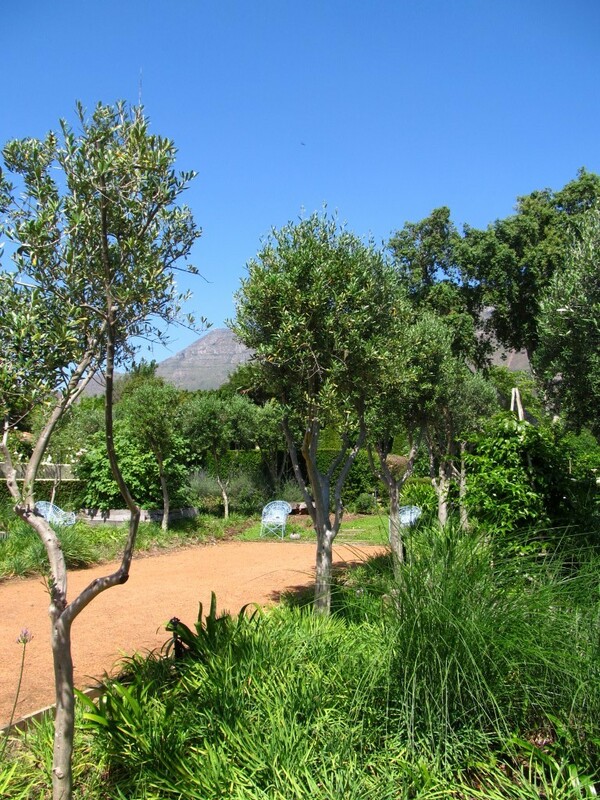 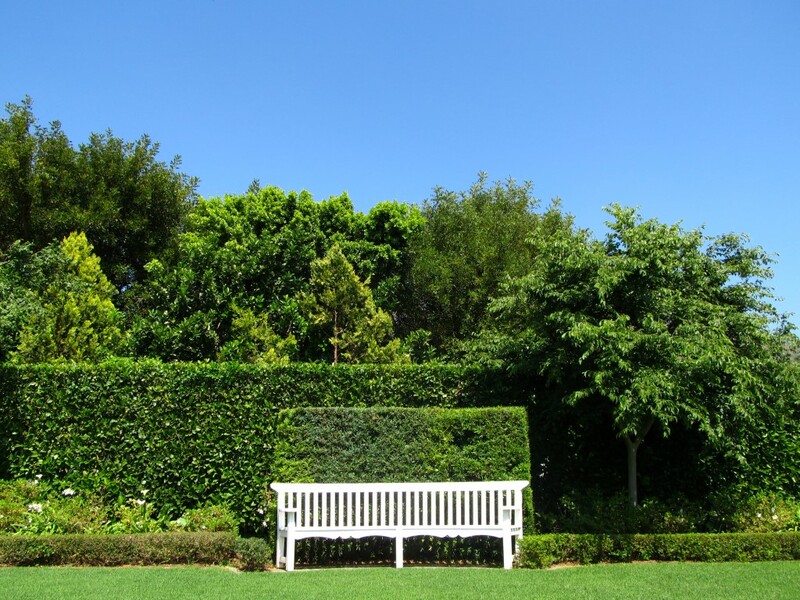 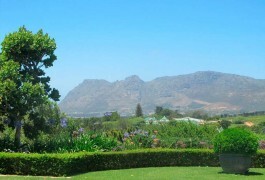 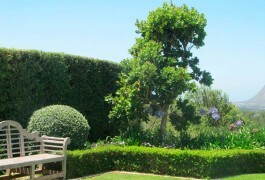 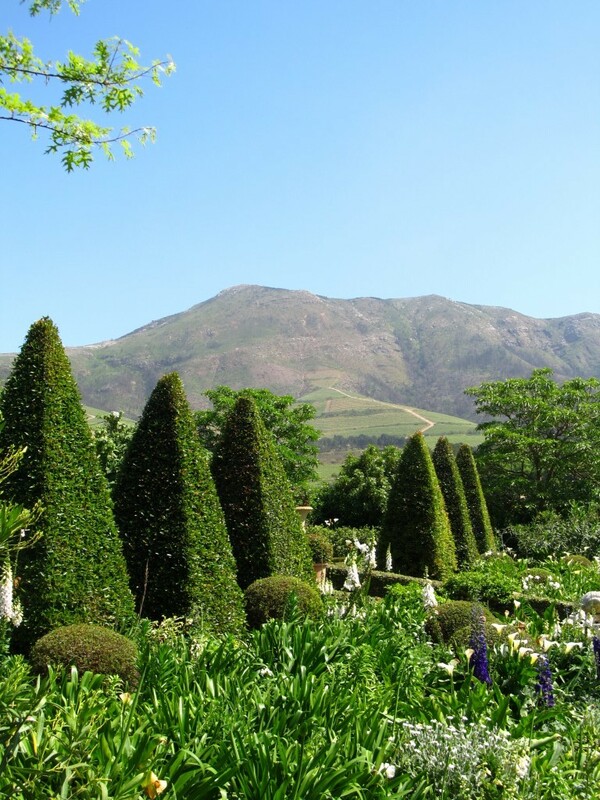 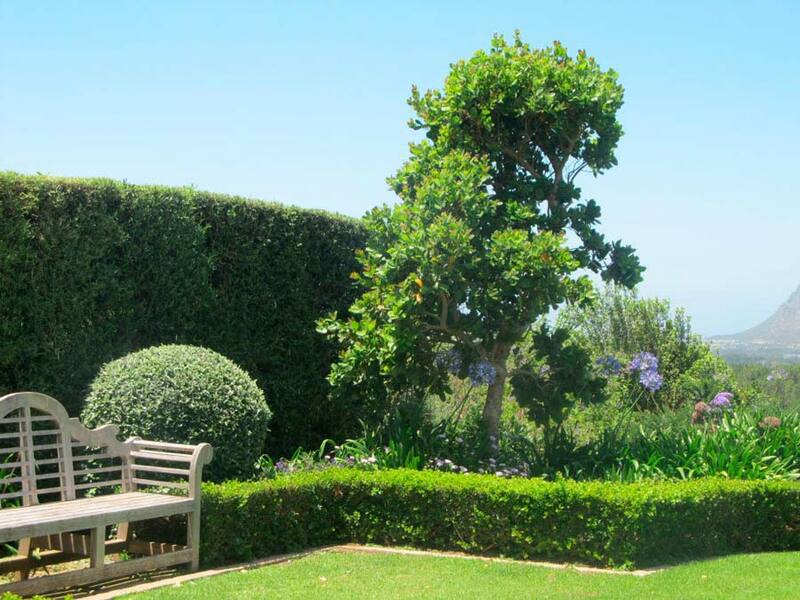 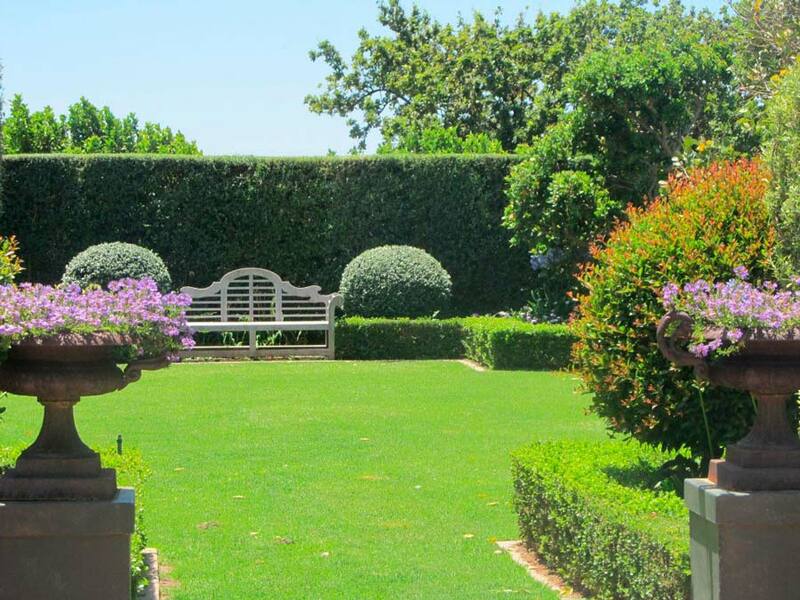 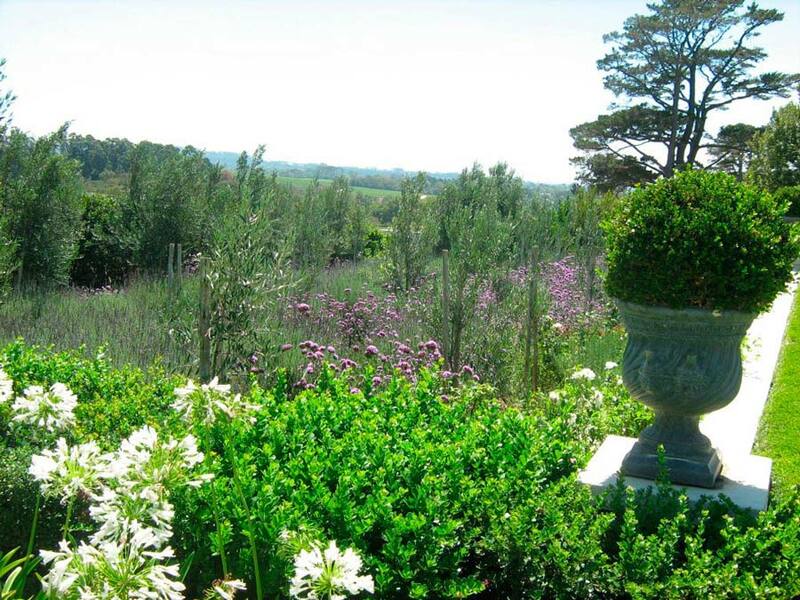 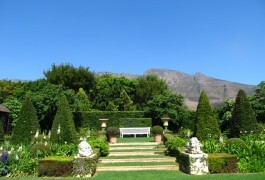 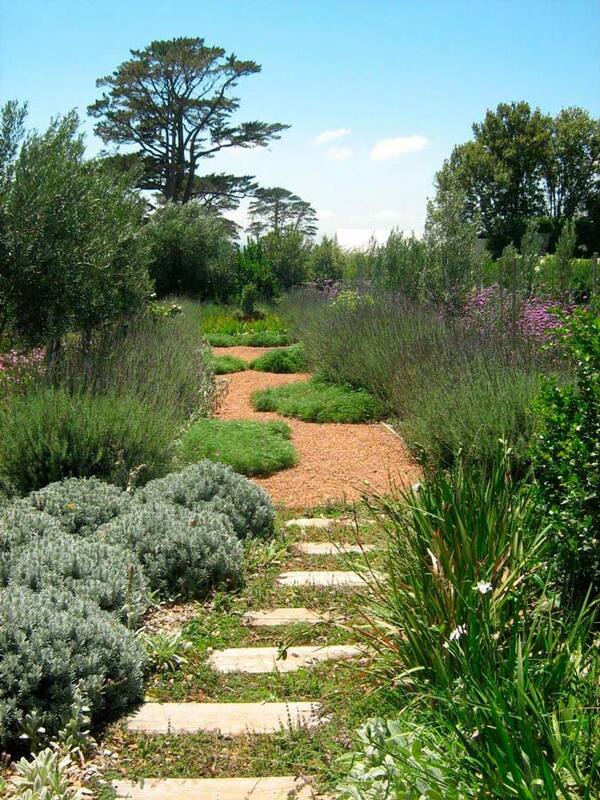 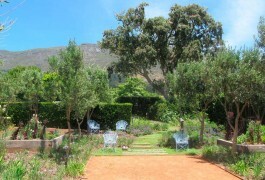 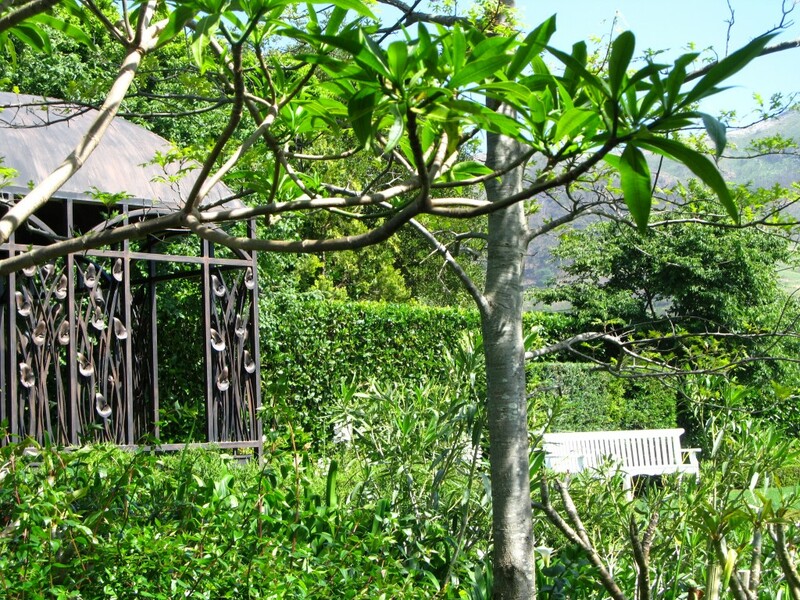 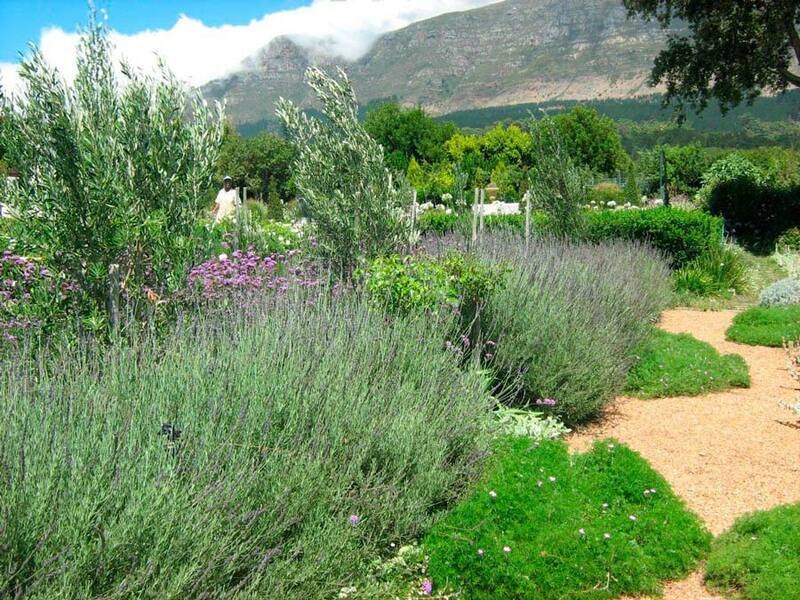 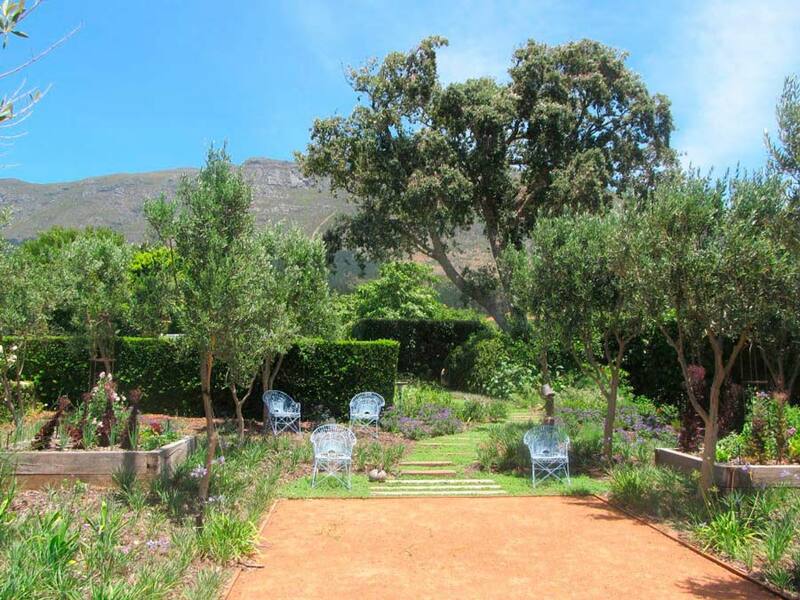 With the vast panoramic vistas of the Constantia Valley and False Bay and surrounded by vineyards, this garden has a strong sense of balance and structure. 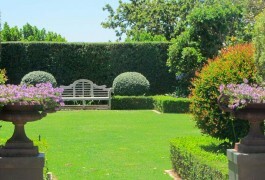 Featuring hedges and topiary of clipped Rhus crenata, Curtissia dentate, Myrtus microphylla, Buxus sempervirens ‘faulkner’, Podocarpus elongates,Buddleja saligna, Teuchrium fruticans and Eugenia paniculata; the classical threads of a formal garden are woven throughout using indigenous and exotic plant material for the purpose of structure and definition. 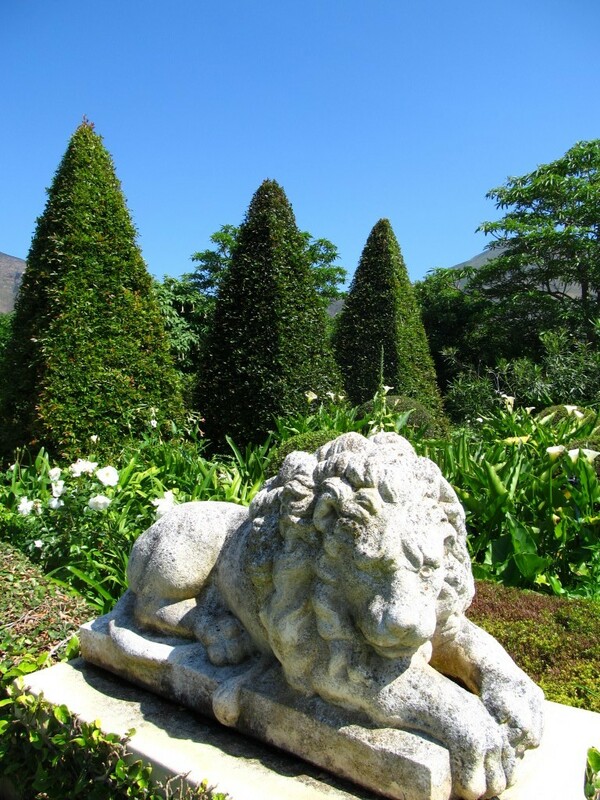 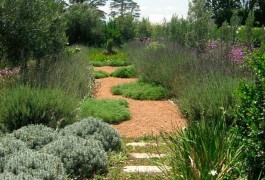 The garden breaks from these clipped green boundaries with a collection of indigenous and exotic perennials, ornamental grasses and shrubs. 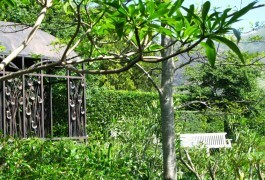 Set out over several levels a series of outdoor rooms reveal various functions and play. 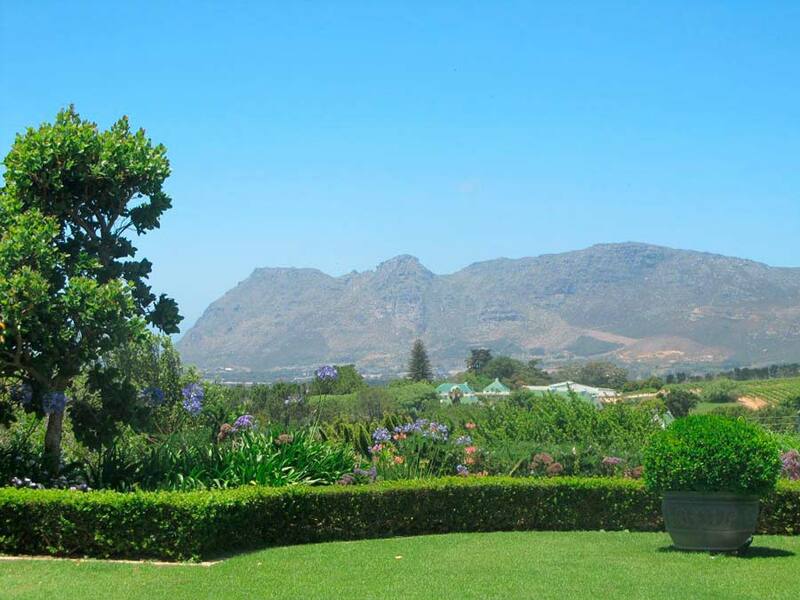 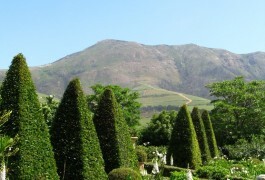 A neatly framed swimming pool sits moored in a lush green lawn flanked by crisp green hedges with uncluttered views over the vineyards and the breath-taking Constantiaberg beyond. 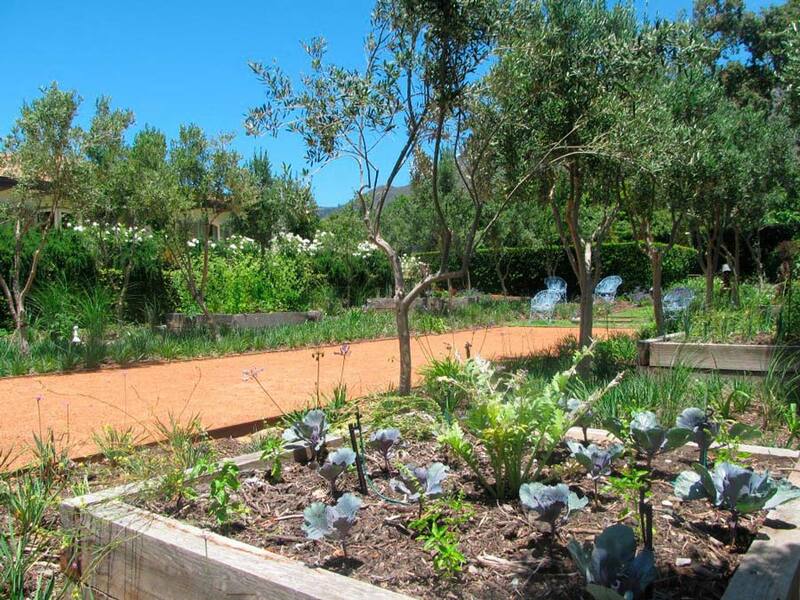 Below this terrace a rolled clay boule court within a Mission Olive orchard punctuated with raised chunky timber vegetable boxes bursting with fresh organic produce. 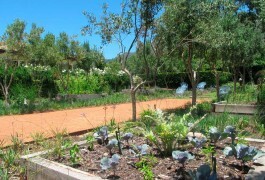 Below the olives and in between the vegetable boxes a carpet of Thulbagia violacea ( wild garlick ) and ornamental grasses compliment the rural mood. 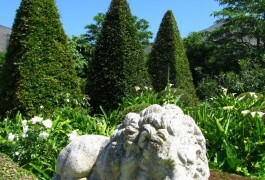 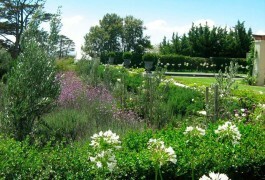 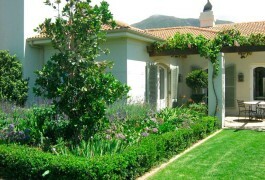 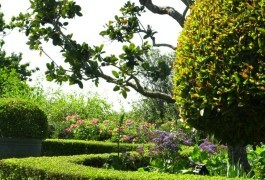 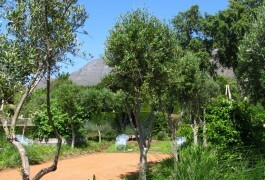 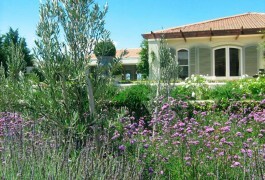 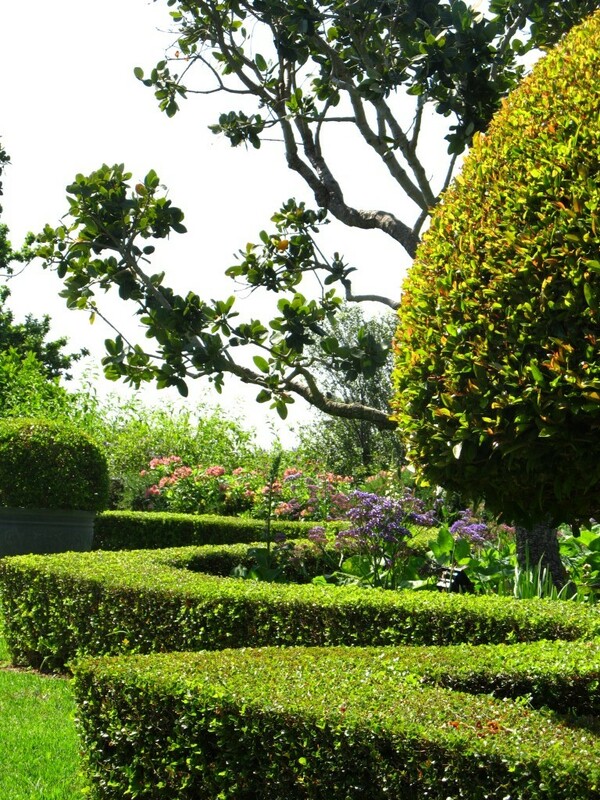 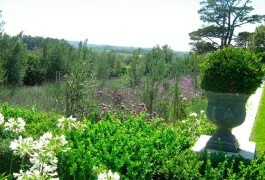 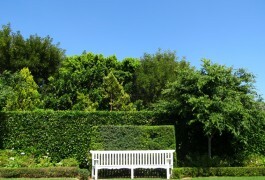 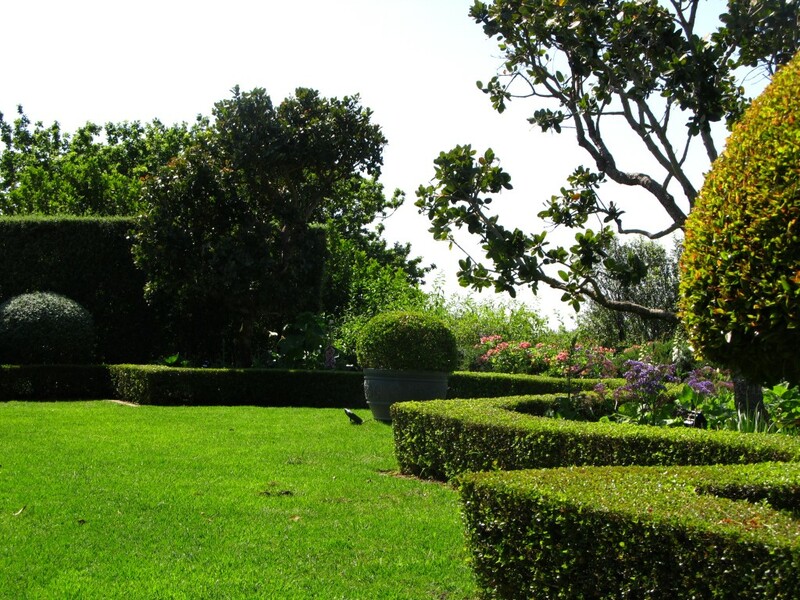 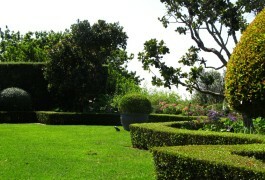 A level lawn area then gives way to an upper lawn terrace enclosed by the white garden. 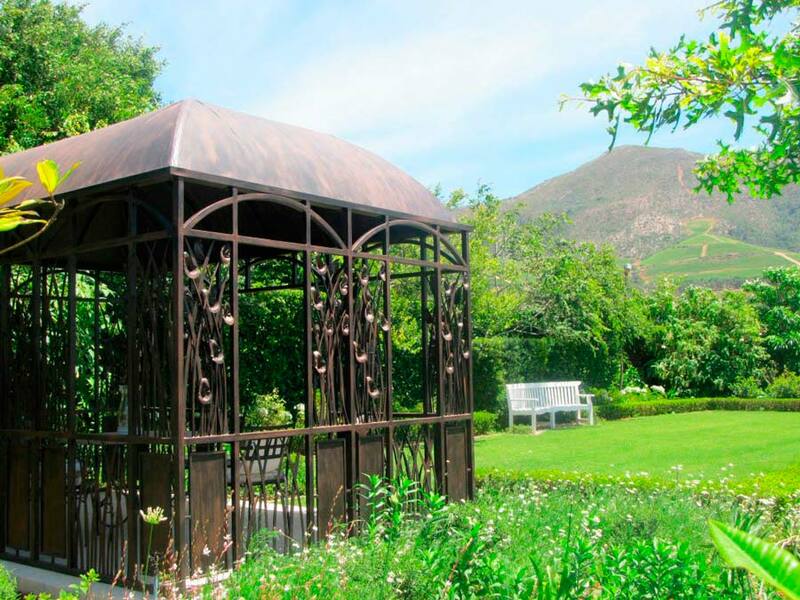 Here a beautifully hand crafted gazebo designed by greencube provides a peaceful retreat overlooking the garden and vineyards beyond. 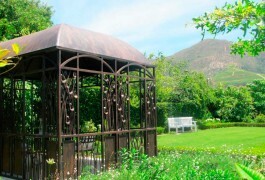 Custom crafted timber benches provide points of rest and contemplation and lead urns and other sculpture further compliment this classically inspired garden.This spectacular garden was featured in the Conde Naste House & Garden, February 2012 edition, and is published in Nicola Hadfield’s Beautiful Outdoors – Struik 2010.